Whilst it’s widely claimed that Larry DiMarzio was the first to offer third party replacement guitar pickups ready made, in fact, guitarist and tech innovator Bill Lawrence has that honour. Lawrence was offering his ‘own brand’ True-Sound pickups as early as the mid 1960s – years before DiMarzio started developing his first product. Indeed, Larry DiMarzio and Kent Armstrong (another pickup luminary, for those who don’t know the name) were educated in their craft by Bill Lawrence. But Lawrence didn’t create the kind of buzz, with his own products, that DiMarzio would go on to create in the 1970s. 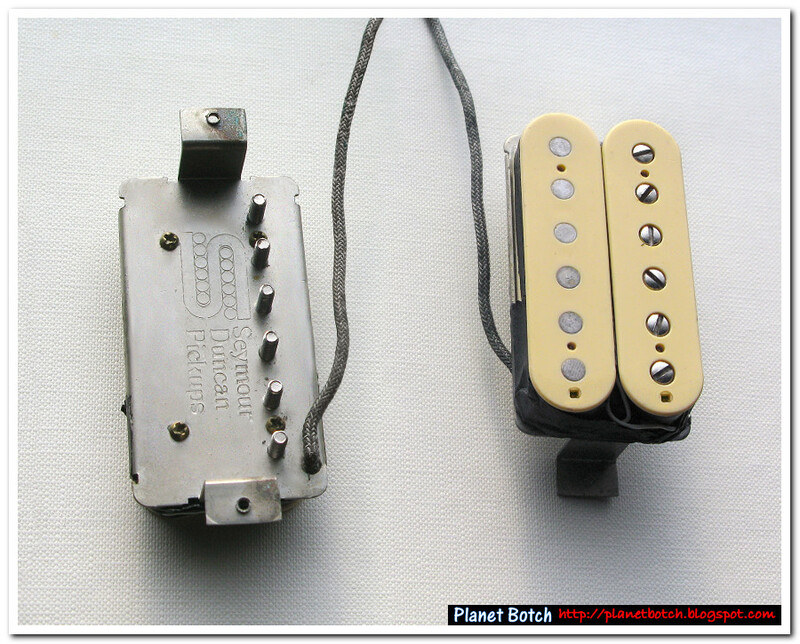 In 1977, DiMarzio filed a patent, supposedly stopping other manufacturers from producing humbuckers with double cream-coloured bobbins (even though Gibson had made double cream humbuckers long before). Market rivals Seymour Duncan don't, as a result, list any double cream humbuckers. DiMarzio's patent, however, seems so vague in terms of the protected colour as to be meaningless. I'm guessing the patent could fairly easily be challenged or loopholed, and is observed more out of courtesy than necessity. Larry DiMarzio began developing his landmark Super Distortion high output humbucker in 1971. That wouldn’t have been long after he first learned the finer points of pickup winding under Bill Lawrence. According to David Lawrenson, author of 1982's The Complete Guitar Guide, Larry was given a huge box of pickups to take home and dismantle, play around with, etc. The time he spent tinkering with and assessing the properties of the various different units gave Larry a wealth of practical experience, and put him in a position to begin winding his own pickups with specific results in mind. DiMarzio Inc. cite the Super Distortion as being introduced in 1972, but I’m not really sure what kind of introduction this would have been. Initially, Larry DiMarzio was selling only to friends, and this progressed to a mail order operation before any sort of major distribution system was set up. No timeframe is given for the progression, even in printed matter from three decades ago, and DiMarzio themselves provide virtually no published info on the company's early life. However, even as late as 1974, DiMarzio’s pickup production was evidently very limited, and if you actually try tracing any DiMarzio pickups made prior to ’74, there’s a distinct absence of any credible claims of ownership. If you collate together the evidence, the picture you get is of DiMarzio just starting to gear up for the mainstream market through the course of ’74, and not really getting into gear until 1975. The earliest full page DiMarzio advert I was able to find comes from 1976, and features Rick Derringer as the main endorsee. He’s listed in the ad as using two late ‘50s Gibson guitars, stripped of their original PAFs and loaded with DiMarzio SDHPs (lol). SDHPs were Super Distortions. He’d also got a ’56 Les Paul Custom with an SDHP at the bridge and a Dual Sound (same as the SDHP but coil-tappable) in the neck position – plus one ’62 Fender Strat with a DiMarzio Fat Strat lead pickup. The advert additionally boasts: "DiMarzio Super Distortion Models are now available in the fine line of B.C. Rich Guitars", as well as promoting Derringer's new album - Derringer. I wasn’t on the scene at the time, so I can’t make a personal assessment. But my sense is that the pickup replacement boom took off in earnest during the second half of the 1970s, and not in the early part of the decade as it might appear at first glance. What isn’t in any doubt, is that the SDHP Super Distortion humbucker came with a raison d’etre. 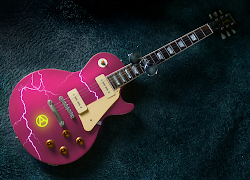 Guitarists could not go to a shop and buy an electric guitar whose existing pickups did what the Super Distortion did. This wasn’t about subtle vintage idiosyncrasies. Any idiot could hear that a Super Distortion did something other pickups didn’t. If guitarists wanted that sort of raucous power, amp saturation and thickness of tone without suffering degradation from booster circuitry, they’d have to get a Super Distortion. The Super Distortion’s USP would go on to define the DiMarzio brand – bold, modern and powerfully-voiced pickups, primarily aimed at heavy rock guitarists. Seymour Duncan, meanwhile, had in fact been experimenting with pickups since way back in the 1960s. After briefly lending his Telecaster to a gigging country artist as a teenager, he’d received the guitar back with a string caught under the top plate of the bridge pickup, and consequent damage to the coil. He rewound the pickup himself using improvised methods, and became fascinated with the way changing the properties of the pickup changed the tone. Duncan’s first big success in the world of pickup winding, however, would come not in his home country of America, but here in England. Whilst working as a professional guitar tech at the Fender Soundhouse in the West End of London in 1974, Seymour Duncan cobbled together a ‘Gibsonised’, twin-humbucker Telecaster, intended as a replacement for Jeff Beck’s Les Paul Standard, which had been robbed of its PAF humbuckers and generally wrecked by another tech/luthier. Using damaged PAFs from an old Gibson Flying V as a starting point, Seymour wound his own custom pickups for the Tele. The bridge pickup – a sort of cross between a Gibson PAF and a DiMarzio Super Distortion – was used to great effect by Jeff Beck on his October ’74 recording of ‘Cause We’ve Ended As Lovers. Powerful, and extremely well voiced for overdriven lead sounds, this hot rewind would eventually become commercially available as the Seymour Duncan JB humbucker. This stunning tiger-striped Gibson Les Paul has a Seymour Duncan Custom Custom humbucker in the bridge position. The neck unit, out of shot, is a Seymour Duncan '59. It's all about personal taste, but this combination suits me perfectly. 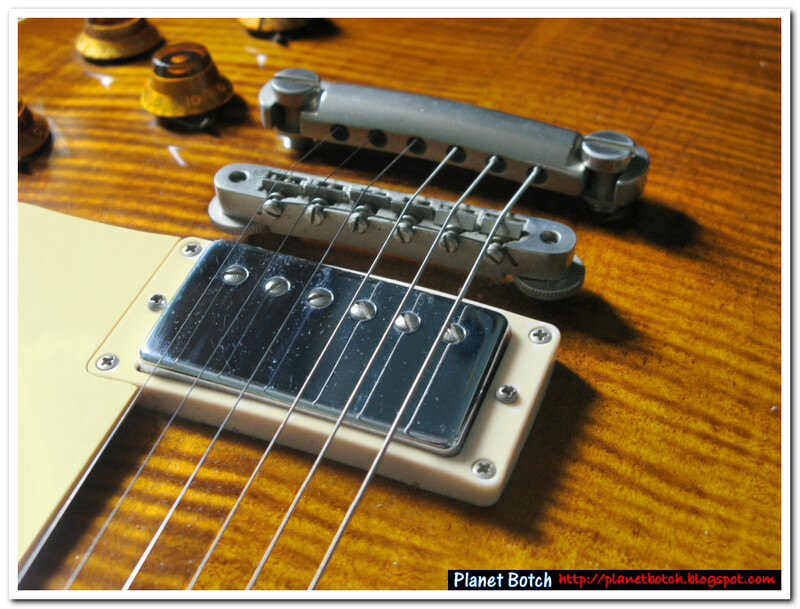 Great balance of output between the two pickups, which both use vintage type alnico magnets. The Custom Custom is much hotter than the '59, distorting very easily and attractively, but not at the expense of a classy clean tone. But it would take years for this individual success to translate into a full scale commercial operation. There still wasn’t any real precedent or yardstick, what with DiMarzio still being in its infancy, for the kind of success which could be expected from a mass market pickup replacement business. It’s worth remembering here that not even the giants of guitar production such as Fender and Gibson saw any mileage in the idea of offering retrofit pickups at the time. Those companies could have mass produced hot pickups and distributed them much more easily and economically than the likes of DiMarzio, but they didn’t entertain the idea. Whilst it looks today like retrofit pickup manufacture was always an obvious money-spinner, that’s clearly not the way it was generally seen in the mid ‘70s. Seymour Duncan continued working with pickups, but he certainly didn’t immediately go for broke on establishing a retrofit pickups brand. For some time, he was doing OEM work for established guitar product businesses. This wasn't confined to pickups - he'd also supply bridges, switches, etc. It was during this phase that he apparently got involved with early DiMarzio rivals (and to an extent copyists) Mighty Mite, and wound pickups for them. Duncan began advertising his own pickup services in 1977, but only rewinds - not full production. It’s apparent from an old interview with Adrian Belew, that Duncan was still using original Fender bobbins as the basis for his Strat pickups in 1977, and this rewinds-only state of affairs looks to have continued up until the closing throes of 1978. According to Seymour Duncan, it was at that point he first started producing his own pickups from scratch - starting with the humbucking design. It would still, however, take a number of years for Seymour Duncan to build the brand. There’s a really interesting published letter from guitarist Eric Johnson to Seymour Duncan, dated 15th July 1980, and evidently sent with a set of Strat pickups and a cheque, requesting a rewind. 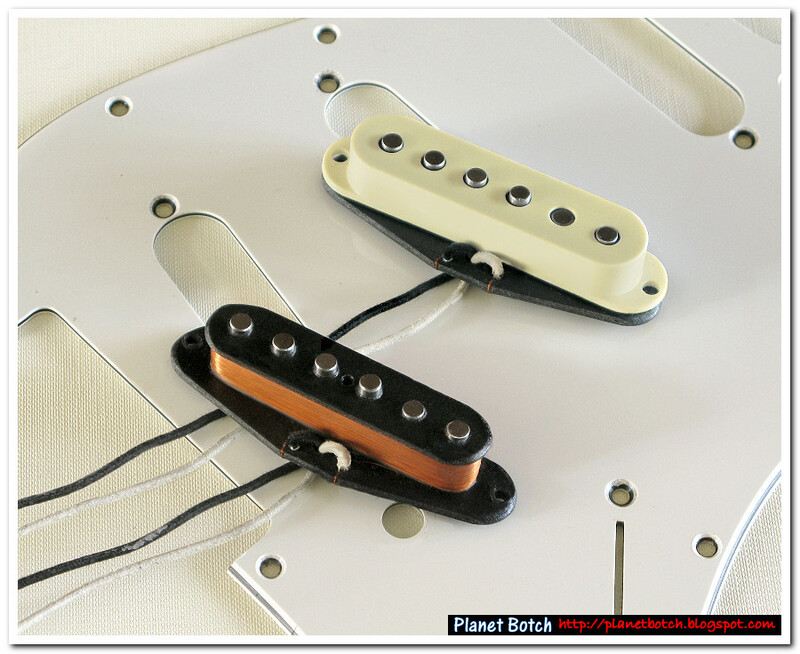 After Johnson had described what he wanted done, he said: “I’ve heard nothing but great things about your pickups. Several people remarked that they sound better than vintage Strat pickups. I’m looking forward to hearing them.” Apart from giving a good insight into Seymour Duncan’s reputation among working musicians in mid 1980, this also gives a strong impression of the pickups still selling through the grapevine as opposed to slick marketing, and of the operation still being quite ‘cottage’ as opposed to mainstream. 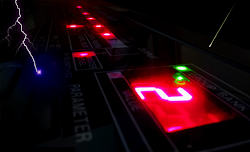 In fact, it wasn’t until the beginning of 1982 that Seymour Duncan first exhibited at a NAMM show. The Seymour Duncan booth was described as being “jammed” for all of the three days, and that did appear to mark the beginning of Seymour’s real rise to prominence. 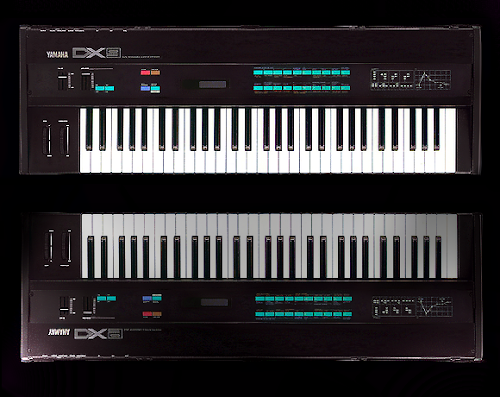 Duncan's subsequent deal with Kramer, which saw the highly popular and of-the-moment rock guitars carrying SD pickups as standard from 1985, sent both Kramer and Seymour Duncan's success into orbit. Locally to me in Birmingham, England, the profile Seymour Duncan had after Kramer began using his JB humbuckers in their Barettas, was markedly and noticeably higher than beforehand. Whereas other ‘bandwagon’ pickup manufacturers had been copying DiMarzio’s ‘hot rod’ designs, Seymour Duncan established a different focus, with a considerable emphasis on accurate vintage replication. That’s not to say Seymour didn’t come up with some highly innovative, raging metal pickups (the Hot Rails, for example), but the SD range was a big draw for vintage enthusiasts. Equally, DiMarzio made a representation of the vintage Gibson PAF humbucker, so neither brand had clearly defined territory. But generally, it was DiMarzio the hard rock brand, vs Duncan's broader and more retro-inspired range. The first DiMarzio catalogue I picked up in the ‘80s was crammed with pics of rock and metal genre endorsees, and there were only two or three pickups which even looked like vintage units – let alone had something approaching vintage spec. The rest of the range looked like it belonged in front of a pair of spandex kecks, and that brand image didn't appeal to me at all. So my leaning was more towards Seymour Duncan pickups than DiMarzios. The first one I tried was an Alnico II Pro for Strat, which was a replacement for the Tokai Strat bridge unit I damaged when removing it to fit a cheap Federico copy of a DiMarzio SDS-1 (the old hex screw version). I hated the SDS-1 copy, and that in itself gave me reservations about DiMarzio, even though I didn’t try DiMarzio’s own SDS-1. The Seymour Alnico II was strongly recommended by someone I trusted at the guitar shop, and I was absolutely blown away by it. That wow!-moment sold me piles of Seymour Duncan pickups in the ensuing years… Vintage Staggered Strat (SSL-1), Vintage Broadcaster (STL1-b), Vintage Tele Rhythm (STR-1), Alnico II for Tele (APTL-1 and APTR-1), Classic Stack for Strat (SKT-S1), Hot Rails for Strat (SHR-1), Cool Rails for Strat (SCR-1), ’59 Humbucker (SH-1), JB Humbucker (SH-4), Custom Custom Humbucker (SH-11)… I think that covers it, but I may have missed one or two, and I’ve had numerous units of each in some cases. The only model I wasn’t sure about was the Classic Stack. It didn’t have the top end definition I was looking for, and I thought it made the Strat sound ‘blunt’, if that makes sense. The SSL-1 Vintage Staggered Strat pickups were among the very first available units from Seymour Duncan. Not only were these pickups made with obsessive attention to the original 1950s Fender spec, they were also tonally ‘aged’ with a de-magnetising process. If DiMarzio majored on 'hot' pickups, Duncan inflated and fulfilled the desire for authentic retro tones. Things have become even more obsessive in the years since the SSL-1 made its mark, with manufacturers now visually ageing their pickups to a state virtually indistinguishable from a 50+-year-old original. I didn’t buy and fit any DiMarzio pickups, but I did use guitars which had them fitted. I used a Les Paul with a Super Distortion to try out a drive pedal in a shop. I bought the pedal, but never really considered buying a Super Distortion, although it was obviously very well suited to the hard rock sounds it was designed for. Later, I worked with a band whose guitarist had a Tokai Strat fitted with VS-1s. Some high-end Tokai Strats had DiMarzio VS-1s factory-fitted, but this particular set was apparently a retrofit. The VS-1 was a vintage output Strat pickup, used by Steve Morse and session player Eddie Martinez. Whilst the output was vintage (typical 6K DC resistance) and the tone could be categorised as ‘vintage Strat’, the unit didn’t have the obsessive authenticity of the Seymour Duncan Vintage Staggered Strat model. Both the VS-1 and the Super Distortion did the job exactly as you’d expect, so I couldn’t personally fault DiMarzio technically. I think the Seymour Duncan range was just much more compatible with my tastes. 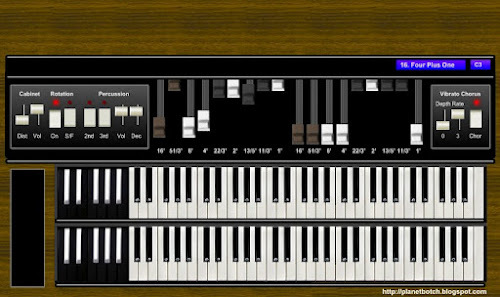 The course of the 1980s also saw the rise of EMG pickups, which took a third approach - that of manipulating the output of the traditional pickup arrangement using active electronics. 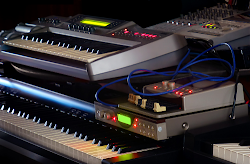 This undeniably allowed the production of sounds which could not be obtained purely through traditional winding techniques, and enabled EMG to exploit some of the '80s trends for more refined and higher fidelity tones. EMG had particular success in the field of bass guitars, which relied much more heavily on sparkling definition and boosted sub-lows than their six-stringed counterparts. But they were well known for their guitar pickups too, and besides DiMarzio and Duncan, were probably the most talked about brand of the decade. Don Lace was another pickup innovator to gain a high profile in the market during the '80s, courtesy of Fender's decision to fit his radically reworked single coils (Lace Sensors) as standard to some of their more upmarket guitars. But whilst the Lace Sensor was technically a third party unit, it didn't make its own name in the market the way other retrofit brands had. It became known through its appearance on Fender guitars (initially Strats) as a piece of stock hardware - not as an aftermarket product. Other retrofit presences on the UK market in the '80s included Kent Armstrong, Reflex (actives - the P-Bass model of which I used and really liked), OBL (Bill Lawrence), Schaller (memorable for their Golden 50 humbucker), Schecter, Mighty Mite, and one or two cheapie brands, such as Federico, which in the middle of the decade did a roaring trade in DiMarzio copies. But the market came to be dominated by DiMarzio and Seymour Duncan, and by the end of the '80s, replacement pickups had almost become a licence to print money. The following decade would see the likes of Fender, who'd shown complete disinterest in a multitude of Seymour Duncan's OEM proposals in the 1970s, finally recognising the replacement pickups market as far too great an interest to ignore, and packaging up their own range of retrofit products. With Gibson also now offering their own replacement pickups as stock retail items, the rise of the retrofit pickup had reached maturity. Today, it’s not so widely recalled that the early years of the pickup craze had a highly negative side-effect. But look back, and you see quite a depressing inevitability. The number of classic vintage guitars butchered to make way for a physically bigger pickup must have been shocking. Fender guitars in particular suffered once hot humbuckers became readily available. In the '70s, most 'Superstrats' would not be purchased off the shelf – they’d be converted, from orginal Fenders. And every time someone took a tool kit to his/her '60s Strat, the world lost what would have become a valuable original piece. There's also of course the fact that retrofitting pickups has become so popular and widespread, that it's now so much more difficult even to find '80s and '90s guitars which haven't been tampered with in some way. Name brand replacement pickups are normally very good, but it's nice to be able to find guitars which remain as-built, and that's been made far harder by aftermarket pickups. But apart from that, the replacement pickups business has been win/win. The manufacturers have done well for themselves, musicians have had much more choice, consumers of music have had a better and more varied listening experience... It's been a very positive thing. Indeed, you have to wonder how much worse off the musicians' retailers would have been without the likes of DiMarzio and Seymour Duncan driving a much needed facet of enthusiasm in the world of guitars. I've bought scores of pickups - sure. But I've also actually bought guitars, purely because I've had pickups I wanted to use, and no space for them in an existing instrument! The commercial impact of retrofit pickups has been immense, and these days, it's the guitar-orientated manufacturers who don't make retrofit pickups who are considered a little strange - not the ones who do.